Home Samurdhi Officers should be able to understand villagers: S.B. Samurdhi Officers should be able to understand villagers: S.B. "Samurdhi Officers work along with villagers who suffer many problems and the officers have to understand the problems and resolve them compassionately, Social Empowerment, Welfare and Kandyan Heritage Minister S.B. Dissanayake said. The Minister was addressing the gathering at a meeting of newly appointed Samurdhi Officers in the ‘Leadership Training’ programme carried out at the Sri Lanka Army Women’s Centre at Sandunpura, Dehiaththakandiya on November 30. Minister Dissanayake said the officers should be mentally strong to reach out to villagers and resolve their problems. "We decided to train Samurdhi officers by providing them with a counselling course to address this issue. If they were mentally strong, they could find solutions and guide people to change their lifestyles," he said. "We introduced a new sign language course to educate disable students. With the School of Social Services under the ministry, we started a diploma course in sign language for students from Samurdhi families. First batch have passed out recently, and they would be appointed to schools and hospitals among others. to teach and serve disable people. As we all know, people with disabilities have extraordinary skills. We must identify them and use them to develop the country," the Minister said. The Minister said the Samurdhi Campaign faced a setback during the last decade. "We lost at least Rs. 200 billion. The Samurdhi Campaign and its bank system collapsed. Innocent villagers got caught in micro finance mafia lending. If the former administration invested the money in reputed banks, we would have earned a big sum by now. 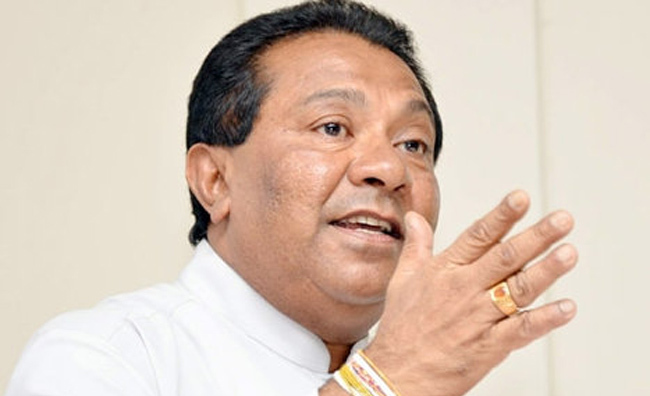 We found that they have provided loans at 2 to 3 percent interest rate and sometimes interest free loans," Minister Dissanayake said. The Minister said the system was now strengthened and was in a better position under the present government. "We have plans with a vision and are implementing one by one. Since we are strong economically, we can provide loans for poor people with good development plans," the Minister said. "We decided to allocate Rs. 300 lakhs to update the Samurdhi Bank system. The banks will be digitalised soon so the people could repay via SMS being at their homes. We provide Rs. 1,500 for A/L students of Samurdhi families. They receive the money by 5th of each month until they finish their studies. "You have to keep in mind that you are not just doing a job but a service for the people of your country, the Minister reminded the Samurdhi Officers. "It is your duty to improve living standards of the poor." he said.